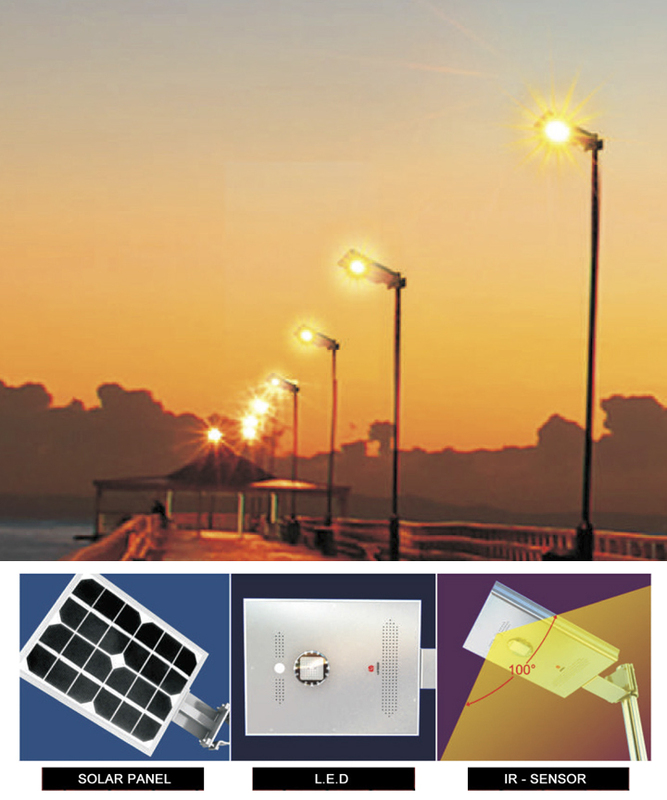 Our Solar Sky Lite with IR Sensor is a series of commercial strength, intelligent outdoor lighting systems. 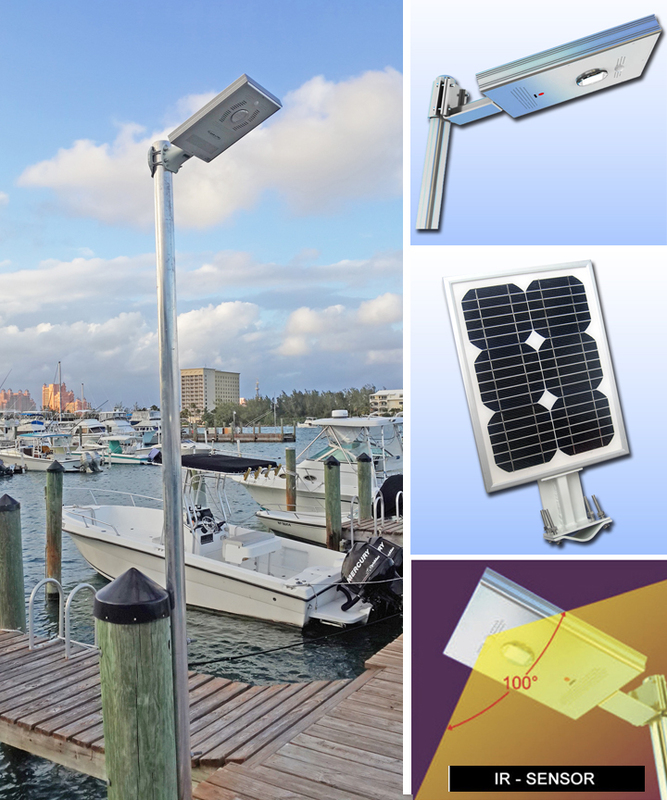 This model has a 10 watt LED lamp, a 25 watt solar panel and provides bright reliable illumination for a broad range of commercial applications including courtyards, walkways, small parking areas, waterfront area and recreational facilities. It also is ideal for many heavy duty residential products. 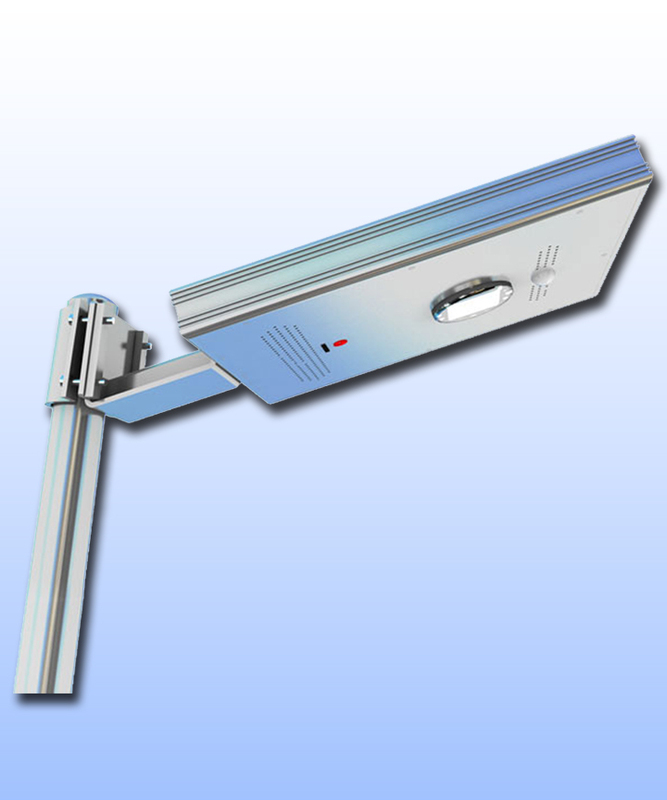 An infrared sensor built into the light senses motion within a 100 degree range. When people are in the area, light intensity increases from 270 to 810 lumens: 3 times brighter. After 5 minutes, the light automatically returns to dim mode. This conserves stored solar energy in the state-of-the art rechargeable) batteries, extends the run time of the lights, and decreases impacts on the surrounding environment. 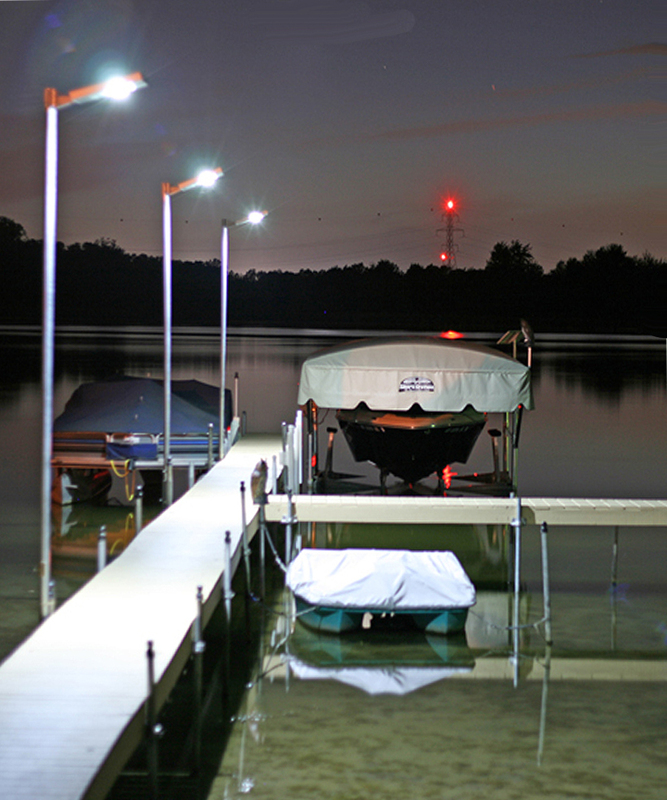 Originally designed to provide marina and dock side lighting, Sky Lites have high waterproof ratings and withstand frigid winter conditions as well as intense heat, sunshine, heat and wind. They may be installed in inland or coastal and unlike many solar lights withstand saltwater environments including saltwater mist and spray. Mounting hardware for round poles that are 2 inches to 3.6 inches in diameter. No wiring, permits rarely are required, no electricians required, and no landscape/hardscape disruptions to install power lines. 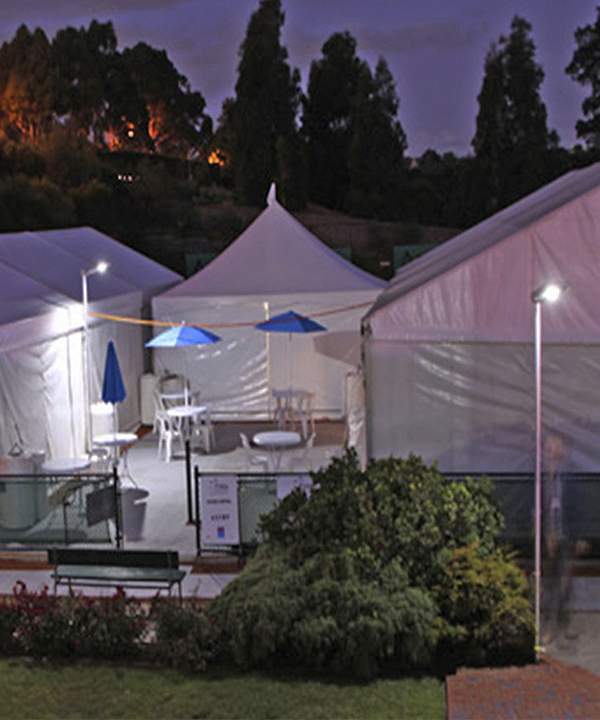 Since LED fixtures last several years unless damaged and batteries last 3 to 5 years depending on site conditions, this is a low-maintenance, efficient and cost-effective solution for lighting, particularly in areas without existing electrical power. Depending on your site, additional discounts may be available beyond the ones listed on this site. 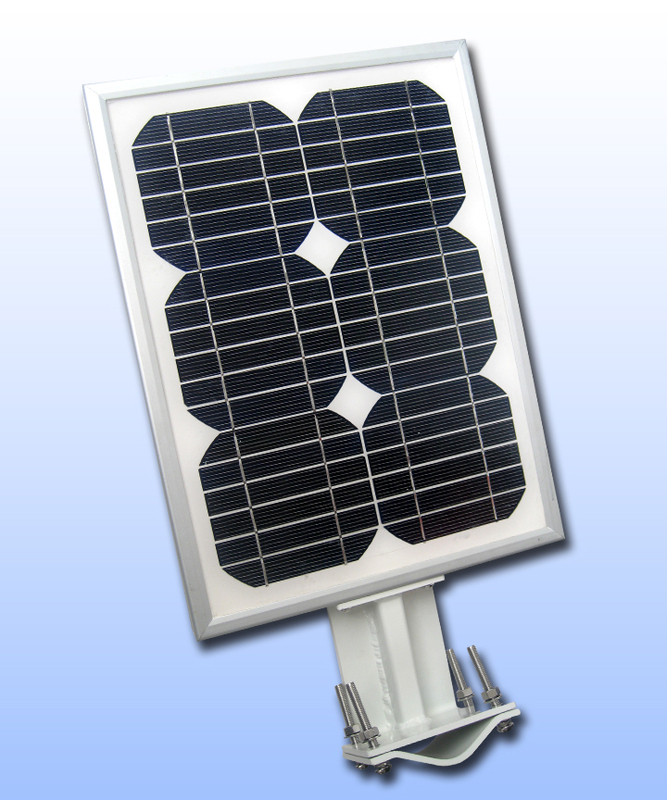 For more information or special orders, including Solar/AC hybrid lights, please call(866) 686-6903 or email us at info@SolarFlairLighting.com. To view the full range of Sky Lite options and more information about the lights, please view our please view our Sky Lite Product Comparison / More Information page.